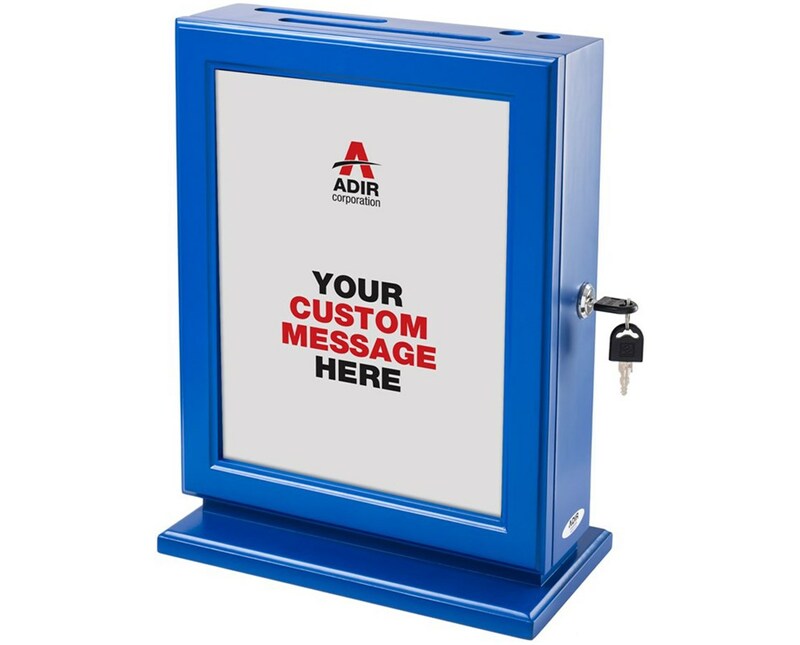 Show you care with the Adir Customizable Wood Suggestion Box 632. 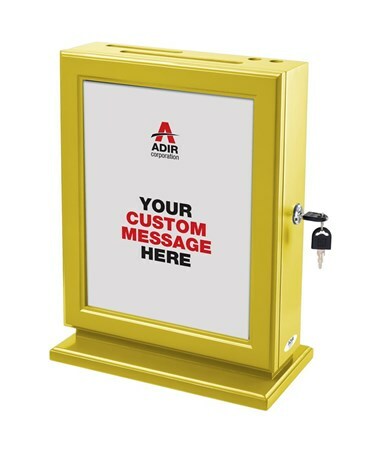 This attractive suggestion box invites communication from your customers and employees. 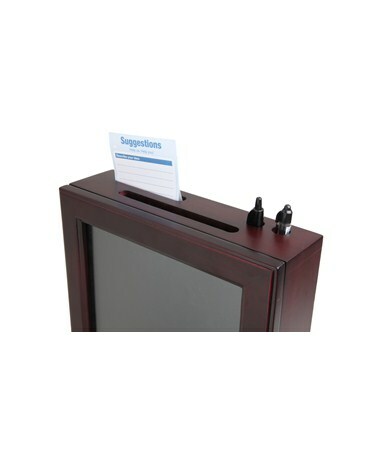 The 8½” x 11” Plexiglass message display window lets you customize the collection box with individual graphics. 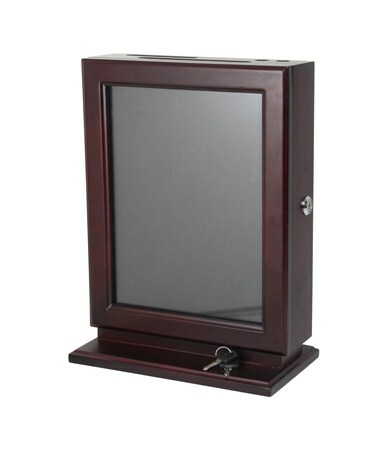 The wooden box has a sleek and elegant style. There is space in the top to hold pens and suggestion cards. 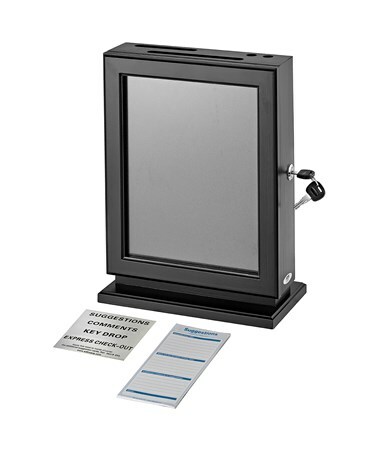 The deposit slot size is 5¼”L x ½”W. Outside dimensions are 10½”L x 5¾”W x 14”H. 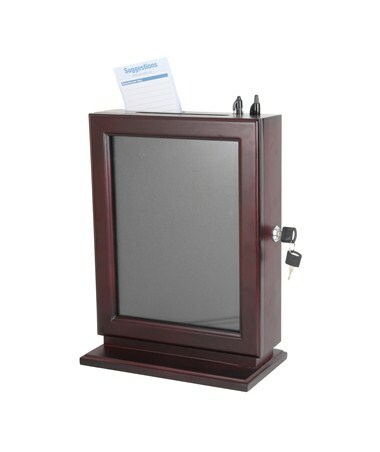 This collection box is lockable (2 keys included) to keep the contents confidential. 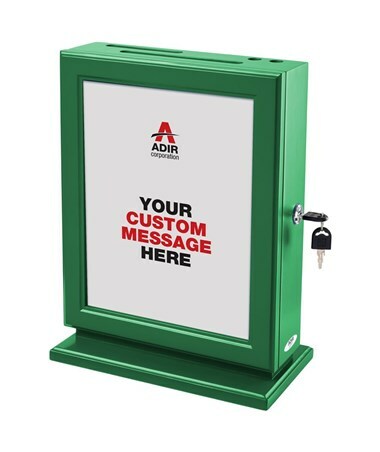 This Adir suggestion box is wall-mountable (mounting hardware is included but tools are required) and comes with a limited lifetime warranty. The Adir Customizable Wood Suggestion Box is available in different attractive colors. Please select your preference from the drop-down menu above. 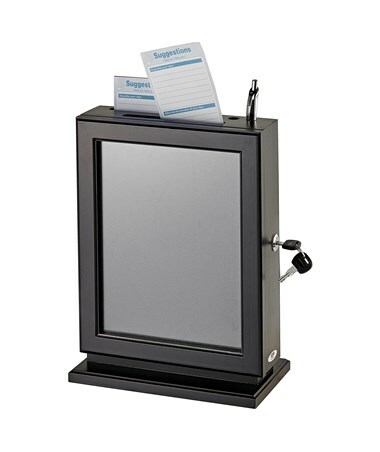 Message display 8-1/2" x 11"